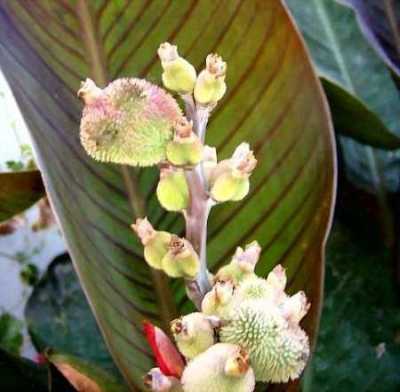 I’m collecting seeds from my canna plants. 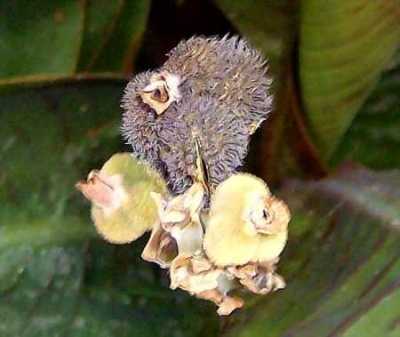 The seed pod forms at the base of the flower. If it is fertile, it will grow larger. Don’t pick until the pod is completely dry and starting to crack. The seeds are dark and round. Notch the seeds with a file and then soak them for 48 hours. Plant 1/2″ deep. This entry was posted on Saturday, July 28th, 2007 at 6:59 am	and is filed under C. 'Dawn Pink', Canna, Seeds. You can follow any responses to this entry through the RSS 2.0 feed. You can leave a response, or trackback from your own site.